Every month this year, I’m dedicating myself to getting into a new band. By ‘new band’, what I really mean is an old band who I’ve known of for awhile but have for one reason or another never checked out. Maybe they were a genre I wasn’t into, maybe they were the favorite band of someone I didn’t like, maybe I was just lazy. Whatever reason, I’m going to spend the month trying to get into them. If, at the end of the month, I find myself enjoying the music I’ll buy an album. And if not, I’ll save my money for something else. 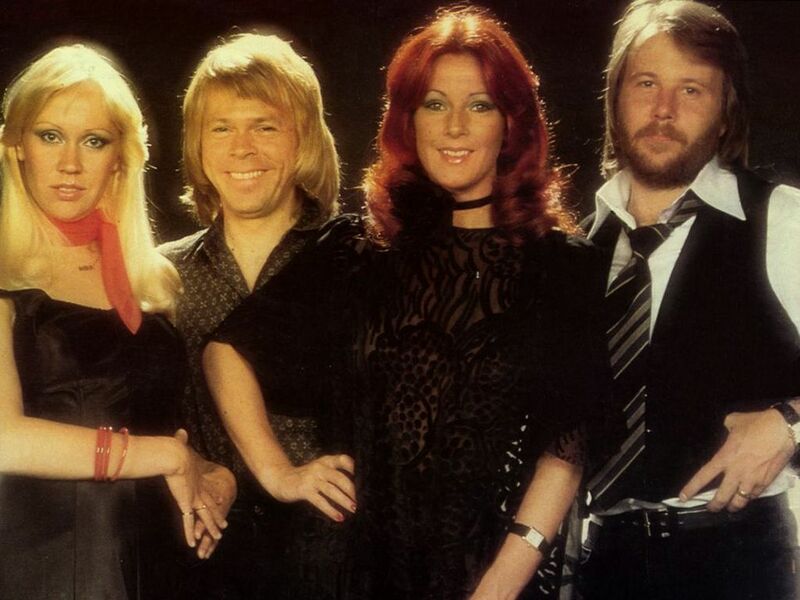 ABBA was a Swedish pop group formed in Stockholm in 1972, comprising Agnetha Fältskog, Benny Andersson, Björn Ulvaeus and Anni-Frid Lyngstad. ABBA is an acronym of the first letters of the band members’ first names and is sometimes stylized as the registered trademark ᗅᗺᗷᗅ. They became one of the most commercially successful acts in the history of pop music, topping the charts worldwide from 1972 to 1982. They are also known for winning the 1974 Eurovision Song Contest, giving Sweden its first victory in the history of the contest and being the most successful group ever to take part in the contest. ABBA has sold over 370 million records worldwide and still sells millions of records a year, which makes them one of the best-selling music artists of all time. Truth is, I have almost no experience with ABBA, which is quite a feat considering they are one of the world’s most popular/successful groups ever. It wasn’t until recent years though that I first got the impression that ABBA was such a massive force. Granted, that could be in part because the Broadway production of Mamma Mia (and subsequent movie) has suddenly thrust the music into the popular conscience in a big way, but they were still superstars in the 70s. So much so, that they come in second only to the Bee Gees for highest selling Pop/Disco act ever (and the Bee Gees have been around a lot longer than ABBA). If you had asked me about ABBA a decade ago I probably could have only told you vaguely that they were the creators of cheesy 70s pop. I might have had the vague idea that they were one of those bands that punk-rockers and metalheads thought were ‘gay’, but I couldn’t have told you anything more than that. Essentially, I never listened to ABBA because they were ‘pop’ in the worst connotation of that word. Now, though, the word ‘pop’ isn’t such an evil genre in my book. The Beatles, Michael Jackson, Justin Timberlake, all acts that could fairly be labeled pop and that I unabashedly enjoy (maybe even love). A finely crafted pop song is no less impressive than some elaborately ornate classical piece. They work on different levels and require very different skill sets, and if you think making truly masterful pop music is easy, just look at the gargantuan list of one-hit wonders who couldn’t sustain a career in the genre. For ABBA to be the inarguable juggernaut that they were (are), they must have been doing something right. Right? Well, I’m gonna find out. I’ll be checking out the hit collections because that seems most logical, but if someone out there thinks the band has an actual LP worth listening to front-to-back, tell me in the comments. And if you’re an ABBA virgin, too, maybe pop that cherry this month.